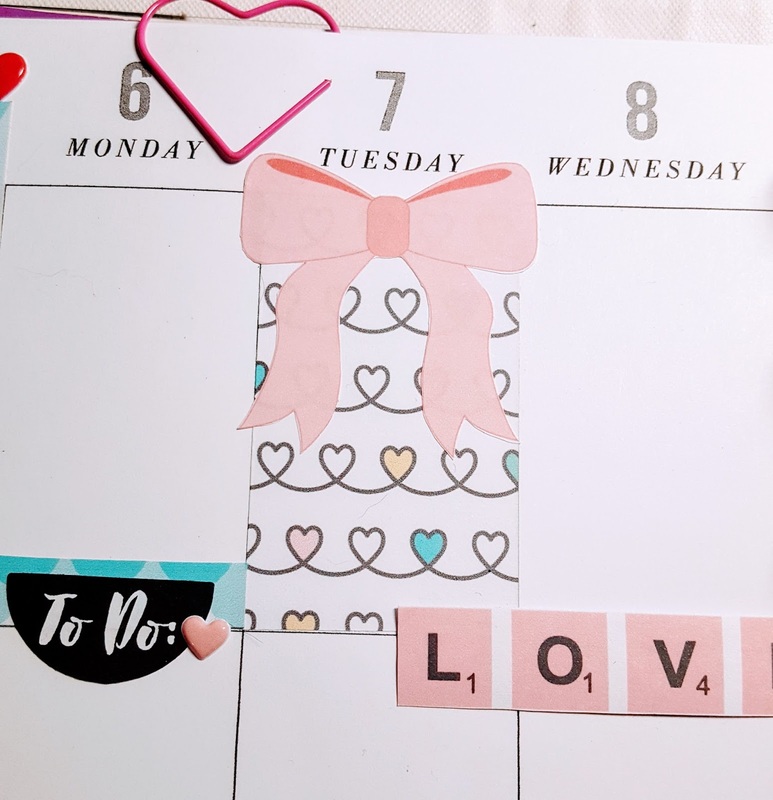 I use a classic sized Happy Planner for my main planner, but the tips that I’ve included here would work in most planner sizes and styles with only a bit of modification. I’m a Plan as I Go white space planner, meaning that I plan a bit every day, so my style is less formal. Here’s a look at this week’s layout before the pen. I printed a few pages that I thought would work nicely in my planner on sticker paper, and fussy cut all of the stickers. I’m so happy already! Watch for a filled out version of this layout next week! Compare the size of the stickers to your planner pages. Journaling cards that are 3 by 4 are the width of two boxes in the Happy Planer or Erin Condren. If you have a busy couple of days, use the cards to fill some space. I tend to do this for Friday and Saturday, as I work long hours both days. This will also help you avoid assigning too many to do lists to days when you won’t accomplish them. Find some washi that coordinates with your kit. This will help give you some more options, especially when covering headers. You can also use them to back tiny words, or to anchor elements. Don’t feel that you have to use an element in its entirety. I cut several patterned journal cards in half to use as full boxes, and I cut have come them to use as half and quarter boxes if I needed them. 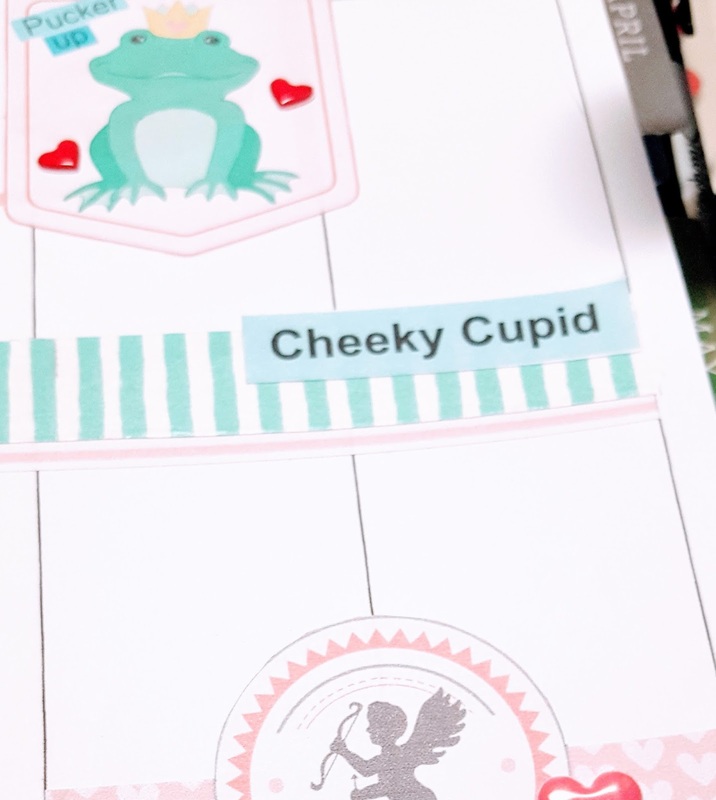 You can also cut out portions of a design, as I did with the cupid seal from one of the journal cards. Be ready to change the way you use a pattern. If there are stripes in the kit, use them to create lists. Cut out individual circle elements to use as circle labels. Tabs can be headers. 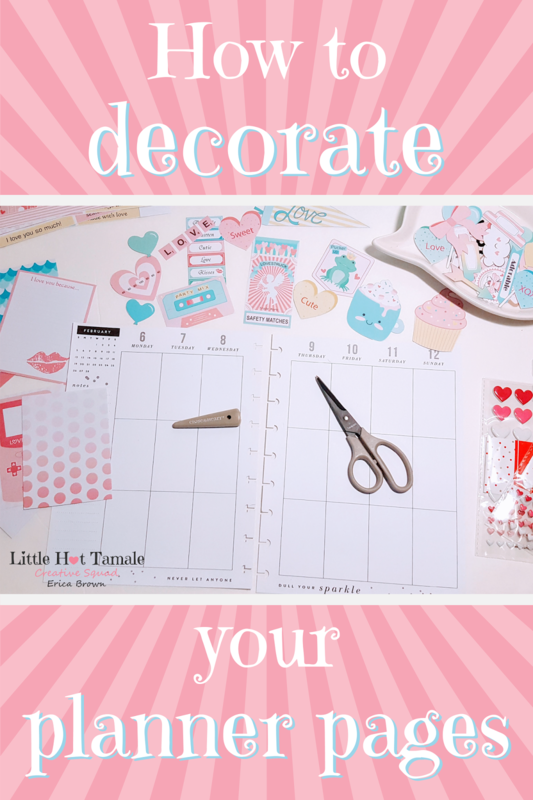 Cute banners can be used for the weekend. Be innovative! I didn’t use this tip, but one great thing about Little Hot Tamale digital kits is that she allows you to resize. 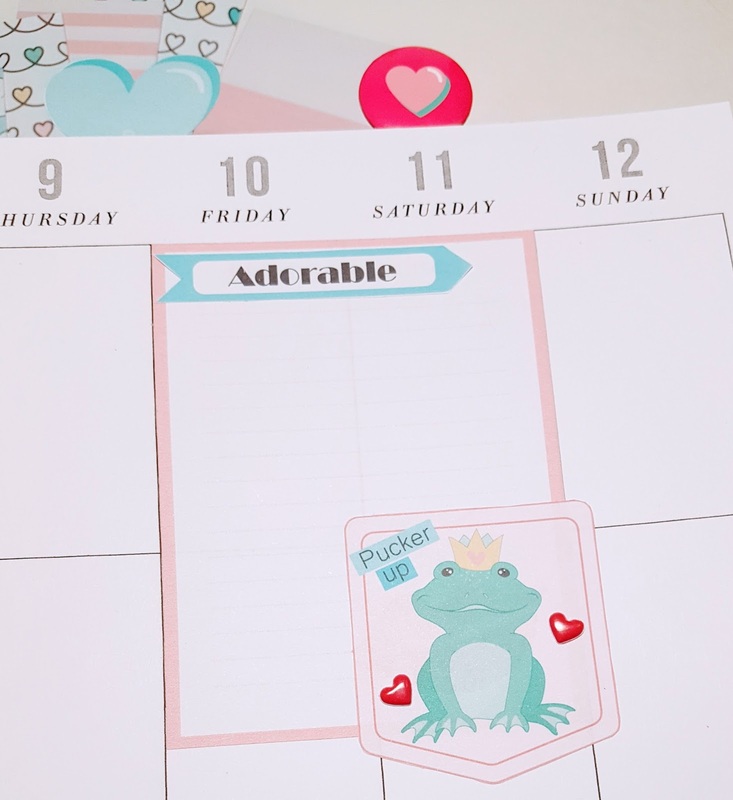 With a little bit of work, you could easily change sticker and card sizes to be easier to use in your planner! 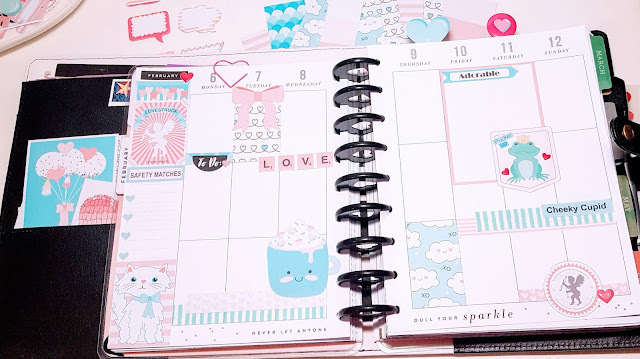 I had so much fun using this collection in my Happy Planner! I love girly colors and kawaii themes, and this digital collection definitely had that! I also love how many different elements came with it. I have so many more pieces still in my pile before I start reusing them. In fact, the really hard part was narrowing it down!